Sodium hydroxide, otherwise called Caustic Soda, is an inorganic compound with chemical formula NaOH. It is called caustic soda because it is highly corrosive in nature. 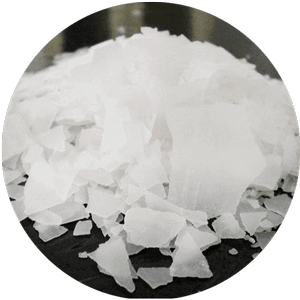 It is available in many forms in the industry, and the most common forms are caustic soda flakes and caustic soda pearls. This product has several industrial applications but it is highly reactive, so it has to be used carefully lest, it can cause skin irritation.